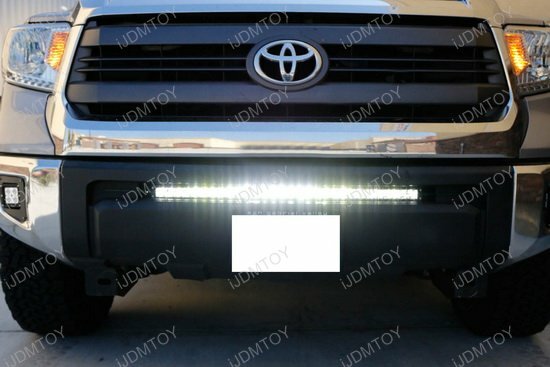 Q: Will this LED light bar fit my truck? 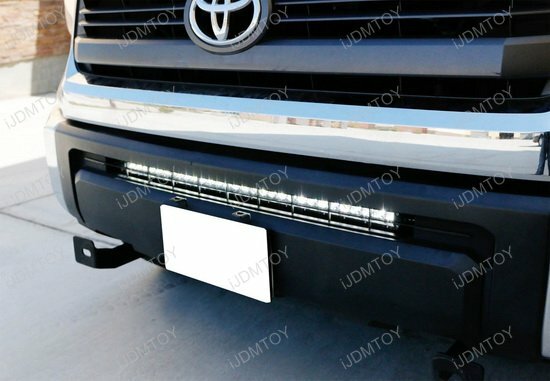 A: This LED light bar is compatible with 2014-up Toyota Tundra. Q: Is there any modification required for installation? 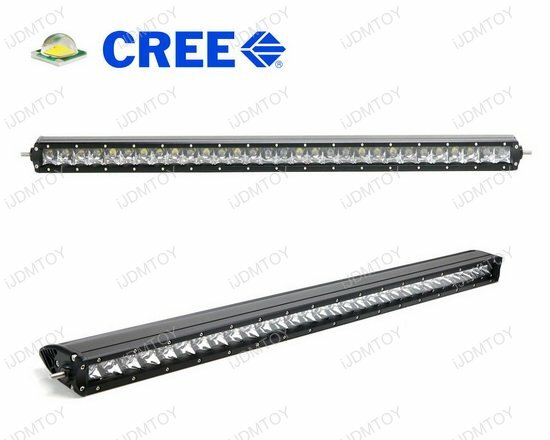 A: There is no modification required to install this LED light bar. 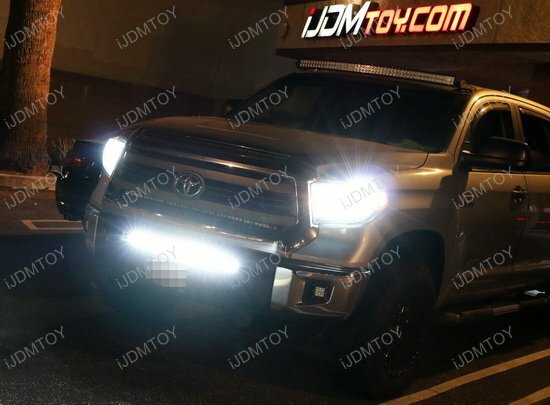 Unlike conventional LED light bars on the market like the ones from Rigid, the iJDMTOY Toyota Tundra LED light bar has a no mod/no drill installation. 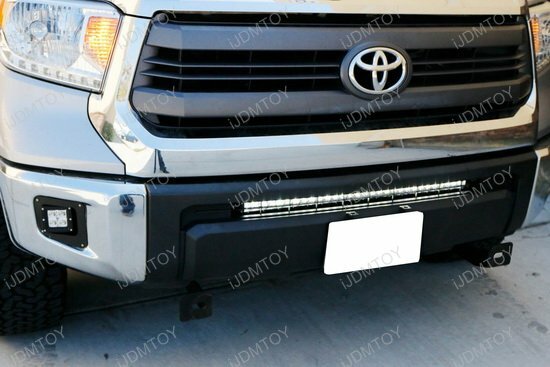 Besides, the front end of the truck is not completely sealed after the LED light bar installation so the air can flow in from the front grille as well. Q: What if I don't want to take off my front grille before installing the LED light bar? A: Sorry. Taking off the front grille is required for installing the LED light bar. You can see that there's not enough space to insert the LED light bar if the grille is still attached. 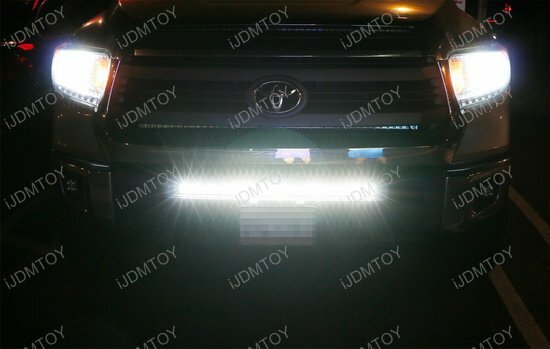 Q: How do I know which mounting holes to use to secure the Toyota Tundra LED light bar? A: To find out which mounting holes to use, remove the bumper and look at the crash beam facing the front side. Because you will be installing this onto a 2014 or later Toyota Tundra, you will be mounting your metal mounting brackets onto the inner mounting location by the support bracket's 2nd hole. 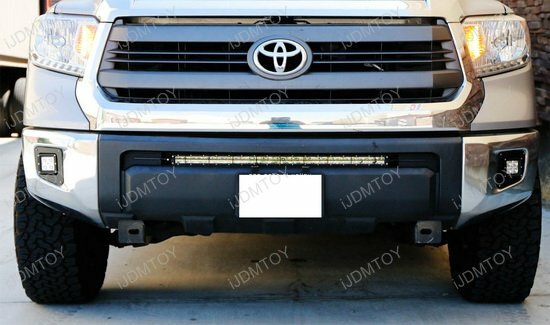 The Toyota Tundra should have 3 mounting holes on the outer side of the crash beams. 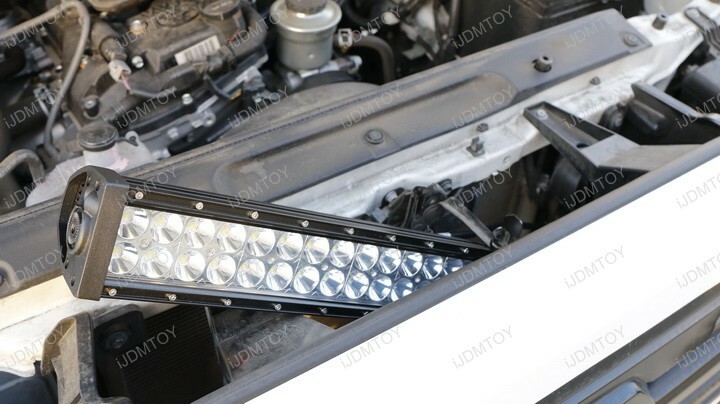 Q: Why is the LED light bar positioned underneath the gap after installation? 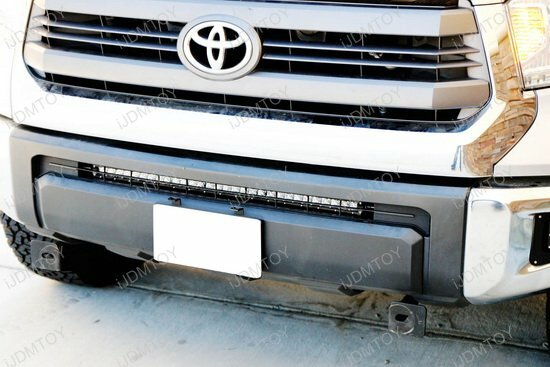 A: If the LED light bar is positioned under the Tundra's opening gap after installation, it means that the brackets were bolted on the wrong hole during the installation process. 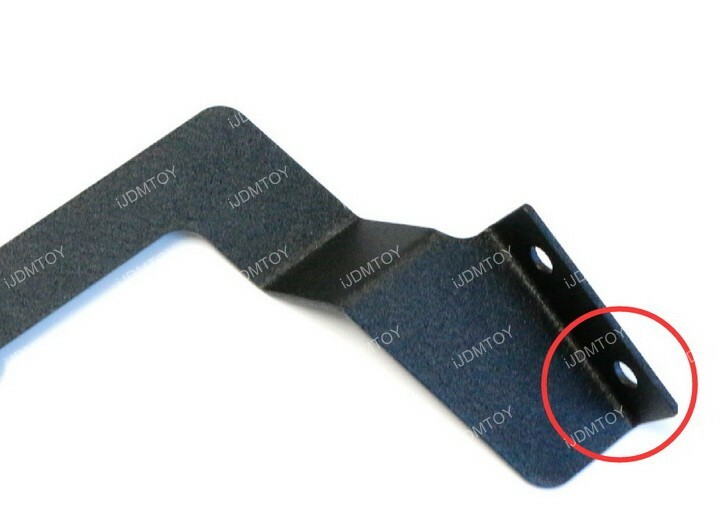 Please double check to make sure that you've bolted on the bracket using the lower hole (circled). 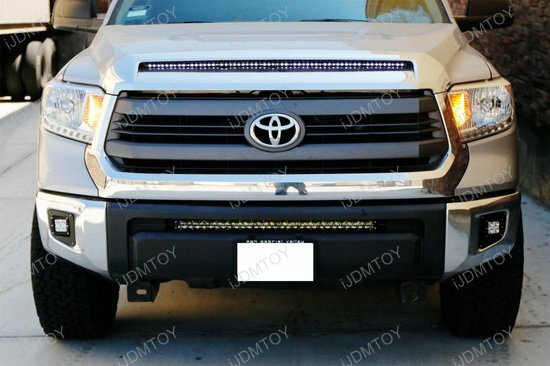 This page features a complete set of 30" lower bumper grill mount high powered LED light bar system combo for the 2014-up Toyota Tundra. 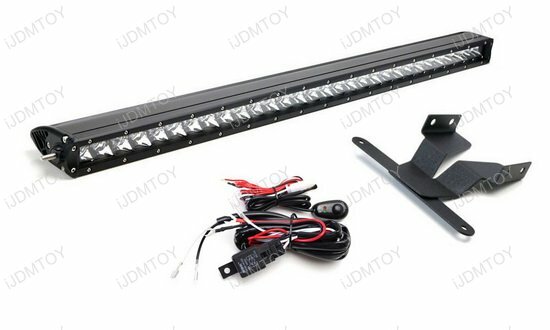 Each kit comes with a piece of 150W CREE high powered LED light bar with spot beam pattern and a pair of black powder coated full metal lower bumper grille mounting brackets with On/Off switch wiring kit. 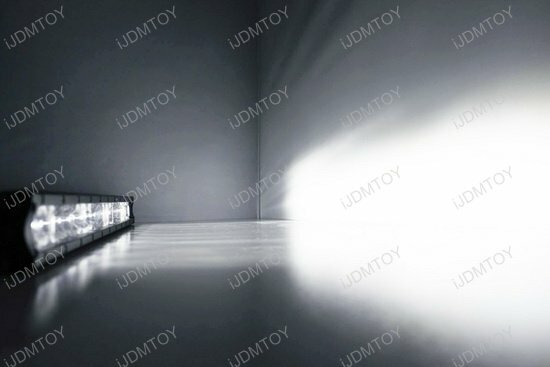 Unlike other brands like Rigid, there is absolutely no modification required to install this iJDMTOY LED light bar. 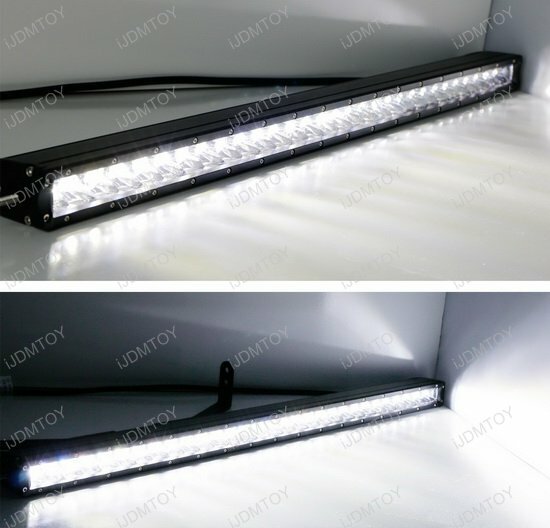 You also don't need to cut any beams, just place the LED bar behind the beams during the installation process. 5 of 5 Total Reviews: 5 Write a review. 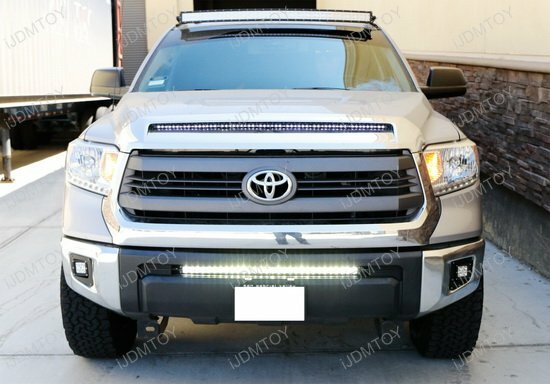 This 30" LED light bar was a gift for a friend so he'll keep his Toyota Tundra. He loves it! 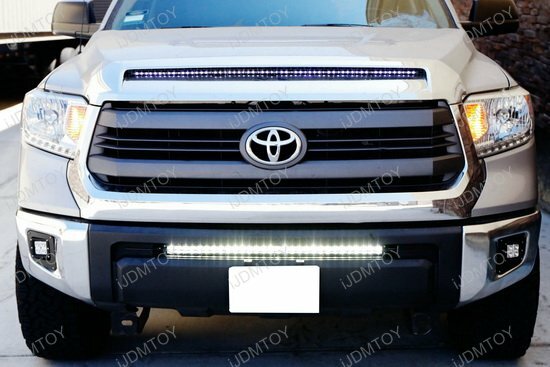 This 150W LED light bar is nice and retains my 2015 Toyota Tundra's factory look reasonably bright considering it is a 30" single row LED bar. the only cons. is you need to tighten the nuts regularly since they will become loose. 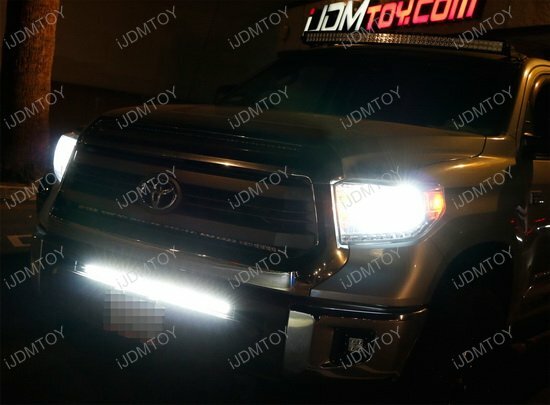 2014-up Toyota Tundra LED light bar is absolutely perfect. It fits great and looks even better. 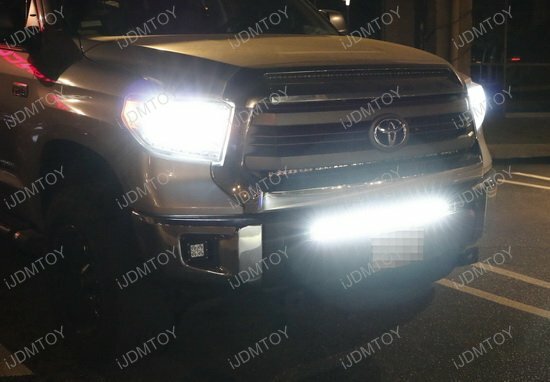 Recommend to all drivers with 14+ Tundra.